The first CAO cigar to contain Mexican tobacco is about to hit the market. Called CAO Zócalo, the Mexican-themed cigar is slated to arrive at cigar retailers just in time for Cinco de Mayo on May 5. CAO Zócalo will be released in one size, measuring 6 inches by 60 ring gauge. Underneath the San Andrés cover leaf, CAO Zócalo contains a Cameroon binder and filler from Nicaragua. The cigar is launching in a single, hefty 6 inch by 60 ring gauge size and will ship in 20-count boxes. 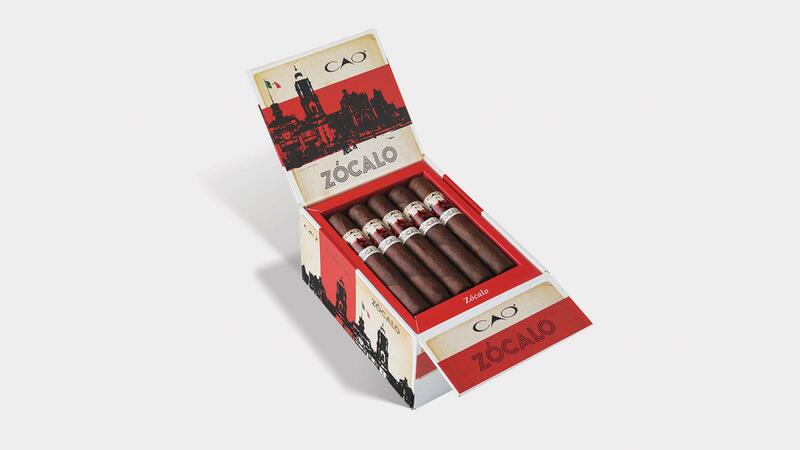 CAO Zócalo is positioned as a limited-edition release; only 3,500 boxes have been produced. The cigar has a suggested retail price at $8.49 each. Zócalo is named after the main square in Mexico City, a public space with historical significance to Mexico and its people.